A common problem many healthcare foodservice professionals face is finding a way to get funding approved for new equipment. Having reliable equipment is essential to your success. After all, a broken piece of equipment could derail your operations for days. Even so, you may find that getting funding approved for new foodservice equipment is not quite as simple as it once was. Replacing aging or non-working foodservice equipment requires you to gain the approval of upper-management, who is under constant financial pressure to cut costs wherever possible. So how do you make a good case to support your facility’s need for new foodservice equipment and supplies? It starts with being prepared. To help you out with this, we've compiled a list of seven ways you can increase your chances of getting your quotation approved. One of the first steps in getting your quotation approved is to make connections with those in charge of deciding your project's fate. You’ll need administrators to give final purchase approval as well as plant operations to understand plumbing and electrical requirements and costs. Operations will also have the ability to let you know if the new equipment will fit through the doors. 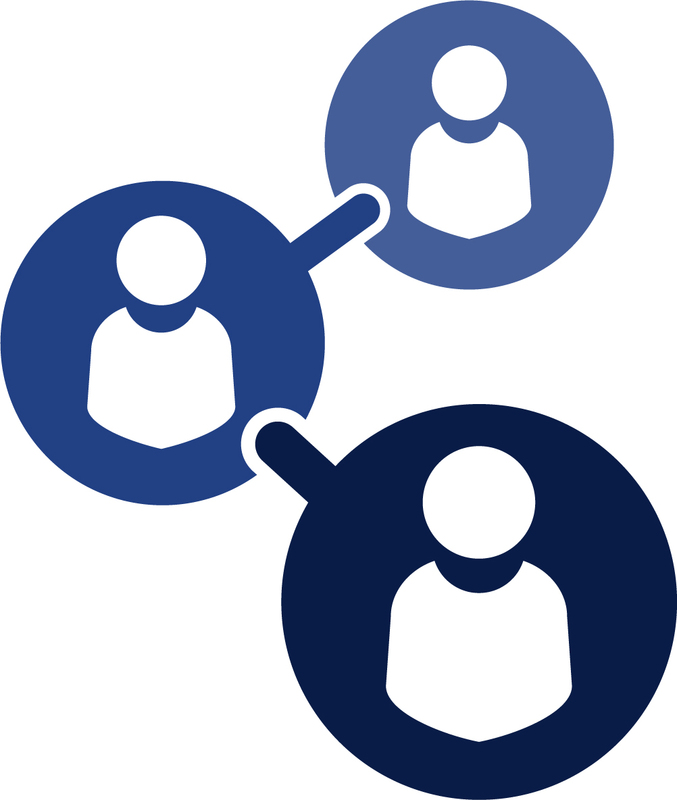 Your chances of getting your quotation approved drastically increase if you can make strong financial and managerial connections. Also, it doesn't hurt to test your idea on those who are responsible for approving or denying it. Testing the waters can give you an indication of what questions you will be asked, as well as upper-management's initial reaction to your proposal. Once you have tested your idea on upper-management, try to set up a meeting with key stakeholders to ask for their support. These meetings will create buy-in for your proposal, demonstrate that you are committed to the overall well-being of the organization, and even provide you with an opportunity to improve and expand on your ideas. The more you understand your audience's feelings towards your proposal, the better you can prepare to get it approved. Being prepared and having a plan is critical when it comes to getting your quotation approved. It's important to understand the complexity of today's healthcare environment when creating your proposal. As supply and labor costs are increasing at a faster pace than revenues, there’s constant pressure all across your organization to do more with less. Adding to the complexity is increased competition amongst healthcare providers, system mergers, and increased minimum wages. This extreme financial pressure can make creating a robust proposal for your capital project challenging and with growing pressures to provide high-quality dining options at lower costs, it's vital to prepare responses to potential questions you may be asked by leadership. Your ability to provide detailed answers to questions will play a huge role in your success in balancing resource availability and use while maximizing patient satisfaction determined by survey results and benchmarked measures. Instead of letting these strategies intimidate you, come up with honest responses and reactions to each of the tactics that may be used against you. Coming up with answers in advance can build your confidence, and help you avoid getting flustered and frustrated when leadership challenges your ideas. You know the old saying, "if it isn't broken, don't fix it." Many healthcare facilities live by this and choose to put off replacing old equipment until it no longer works. All equipment has an “end life” when parts are no longer available, or units have become unsafe. However, if the majority of your equipment is aging, you need to consider creating a replacement plan. A replacement plan will demonstrate your facility's dire need for new equipment and can help you get your quotation approved quicker. Typically, your facility’s capital budgets for the next fiscal year are started in the third quarter of the current year. Also keep in mind that if your equipment is actually broken, most facilities have a contingency budget for replacements if repairs are not possible. For example, if your trayline steamtable leaks and the interior is rusty, replacement becomes essential for food safety and therefore patient satisfaction. Your replacement plan should document the age of each piece of equipment, its current condition, any past repair costs, and how often you use it. It's also helpful to determine if it is an essential piece of equipment, or if you can continue operating as usual without it. When you present your equipment replacement plan to leadership, they may be shocked to learn how old some pieces are. If you can demonstrate how replacing equipment will save the organization money in costly repairs, and employee downtime, your chance of getting your quotation approved will increase. Before leadership approves your proposal for new foodservice equipment, they will want to know the ROI. 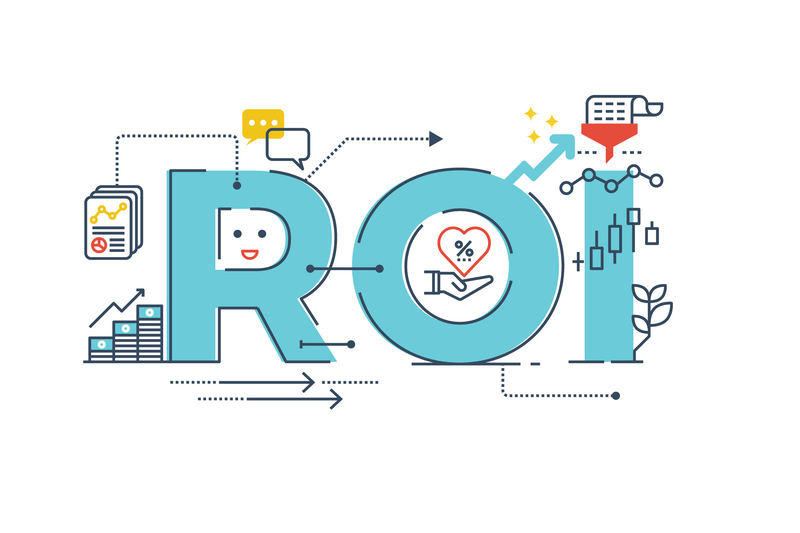 There are varieties of ROI models you can use; however, one that is preferred by most people is net present value, or (NPV). NPV is a financial indicator of the value that your project adds to the organization, taking into consideration the time value of money. When NPV is higher than the cost of capital, a project is deemed worthwhile. NPV can be calculated in Excel, and this video tutorial will walk you through how to do it. Since displaying positive ROI is so important to getting your quotation approved, it's a good idea to enlist the help of your finance department to help you develop and review your ROI model. Returns can also be seen within projected increases in patient satisfaction scores that must be taken into consideration as you examine the potentially detrimental effects of not investing in updated equipment. To be successful in getting your capital project approved, you will need to be able to identify the internal and external department metrics, issues, and outcomes that your project can positively influence. Your proposal must explain how your request would benefit the organization as a whole, not just your department, as well as measure the benefits of health regulation compliance considering the potential fines you could face without proper equipment. Think about how the purchase of new foodservice equipment could advance the strategic goals of the organization. For instance, let's say one of your company's organizational goals is to increase patient satisfaction – a major goal of every facility is to maximize Medicare and Medicaid reimbursements. CMS’ Hospital Value-Base Purchasing Program provides full reimbursement for high performing facilities. Patient HCAHPS survey scores benchmark facility performances. In this instance, you would want to make a case for how the new equipment would help to improve patient satisfaction by providing residents with a more reliable and on-demand food delivery service. Explaining how your project will benefit your facility and its patients will move the needle in the right direction. Conducting research to find the best-priced products is essential. 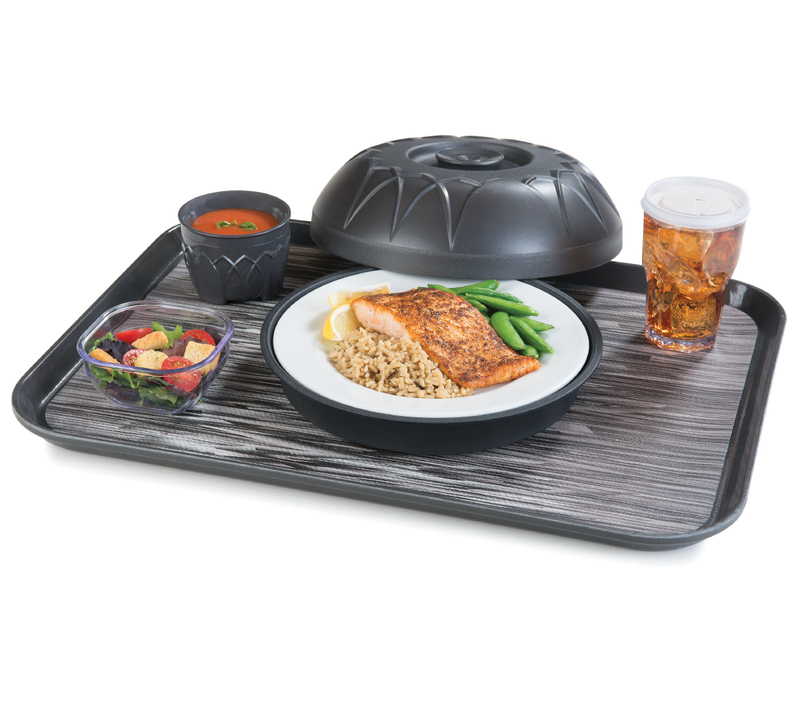 Items that many foodservice professionals look to replace are induction systems, traytop collections or meal delivery carts. 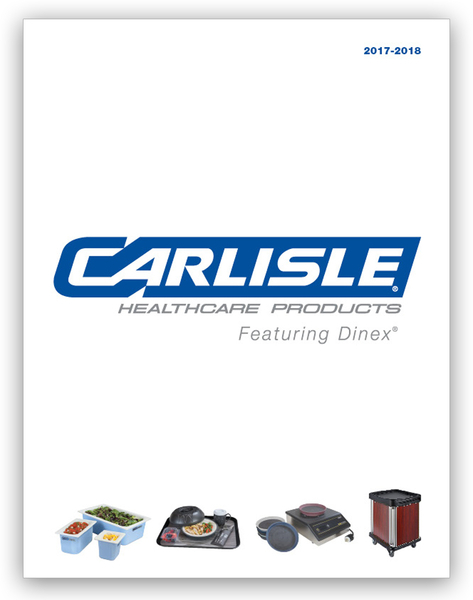 Carlisle has a wide variety of quality products for any budget. Delivering hot food to your patients should be a top priority, as doing so can lead to higher patient satisfaction ratings. To ensure your food stays hot from the kitchen to your patients' rooms, you need a quality induction system. Carlisle offers many affordable induction systems that will help you achieve this goal. Two of the best induction systems to consider are the DuraTherm Induction Solution and the Smart Therm II® Induction Charger. 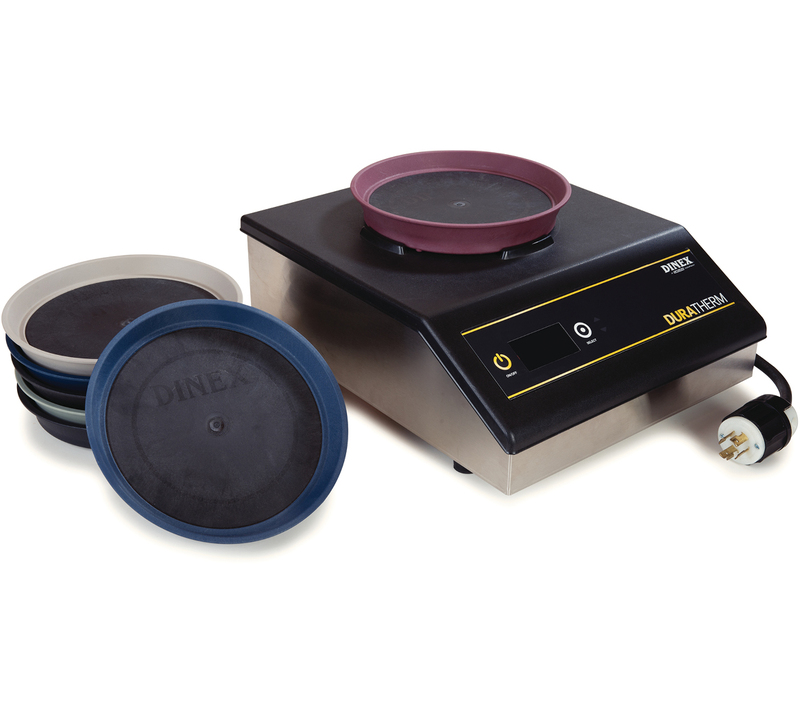 Dinex® DuraTherm® Induction System: This induction system will provide you with industry-best holding times without sacrificing food quality, along with top-notch safety and ease of use. The DuraTherm Induction Solution will help your organization reap superior benefits at a much lower cost of ownership. 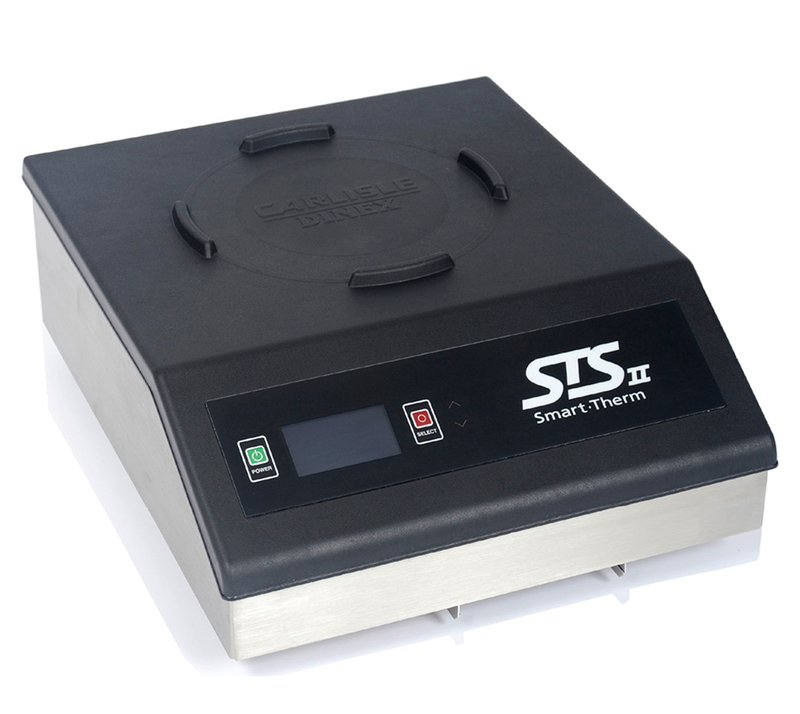 Dinex® SmartTherm II® Induction System: The SmartTherm® II features a unique boost mode and smart induction base which will help keep your patients' meals warm for up to 60 minutes. 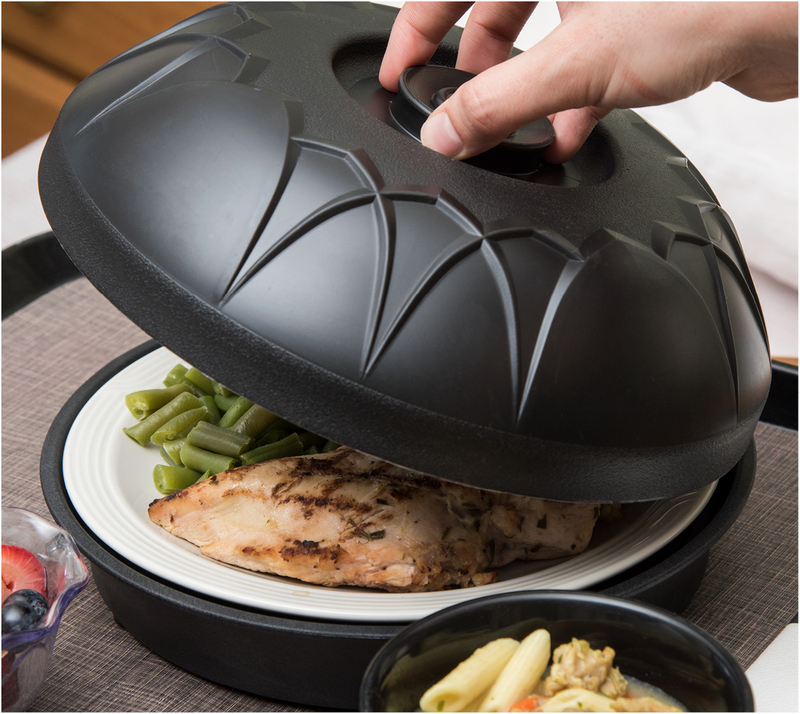 Best of all, you can charge up to 205 plates per hour, allowing you to save a significant amount of time. Lastly, if you are looking to replace your institution's traytop collection without breaking the bank, Carlisle has a full range of products to meet your needs. From classic designs to contemporary and trendy, we have a collection for just about anyone. Dinex® Fenwick: If you’re after a sleek and contemporary look, consider the Dinex Fenwick Traytop Collection. This traytop collection can help increase patient satisfaction scores with its elegant design, and abundance of color options. Dinex® Turnbury®: The Turnbury® traytop collection is one of the industry's best-sellers with the elegant look of china and its distinctive swirl design. You can't go wrong when you place your trust in Turnbury®. Dinex® Heritage Collection®: The Heritage Collection® stands out from other products on the market due to its faceted styling. 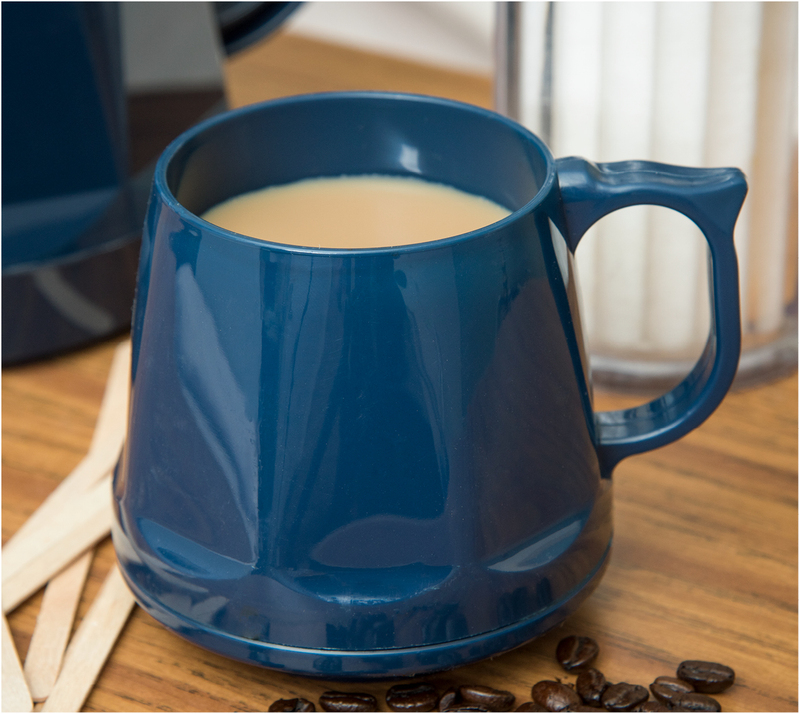 If you are after a traytop collection that is sleek, functional, and also affordable, look no further than The Heritage Collection®. 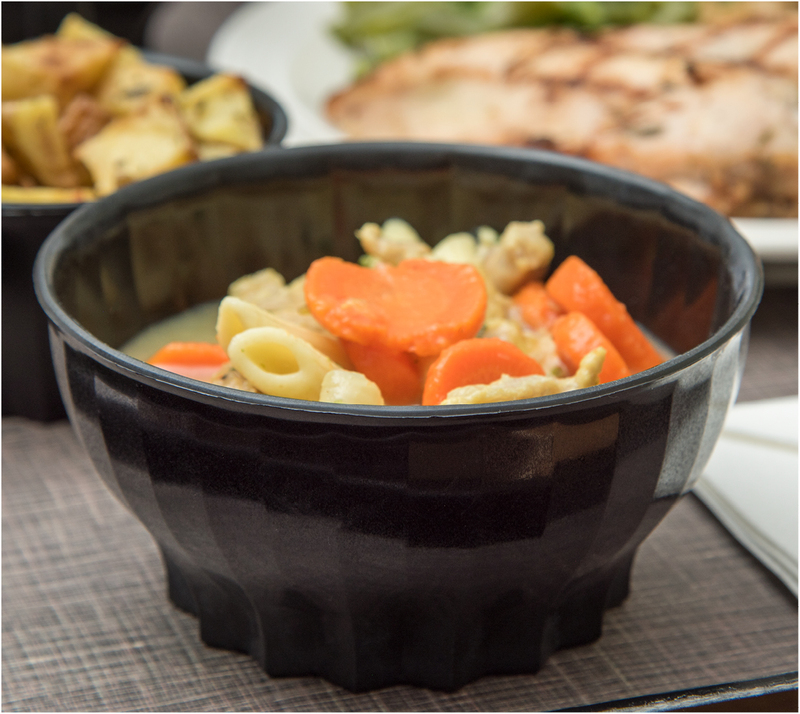 Dinex® Tropez®: This traytop collection is explicitly constructed for convention rethermalization and cook/chill systems. Its high heat resin ensures safe and efficient heating every time. Dinex Non-Skid Fiberglass Trays: Don’t forget about quality non-skid trays! ROI gets realized quickly when making the switch and eliminating paper tray covers. If you’re looking to buy meal delivery carts, look no further than our lines of quality Dinex Tray Delivery Carts, TQ Supreme Meal Delivery Carts, and TQ Economy Delivery Carts. Dinex® Meal Delivery Carts: Our Meal Delivery Carts come in a variety of configurations, helping your organization maximize value and efficiency using quiet carts and supporting your H.U.S.H initiative to traditional retrieval carts. 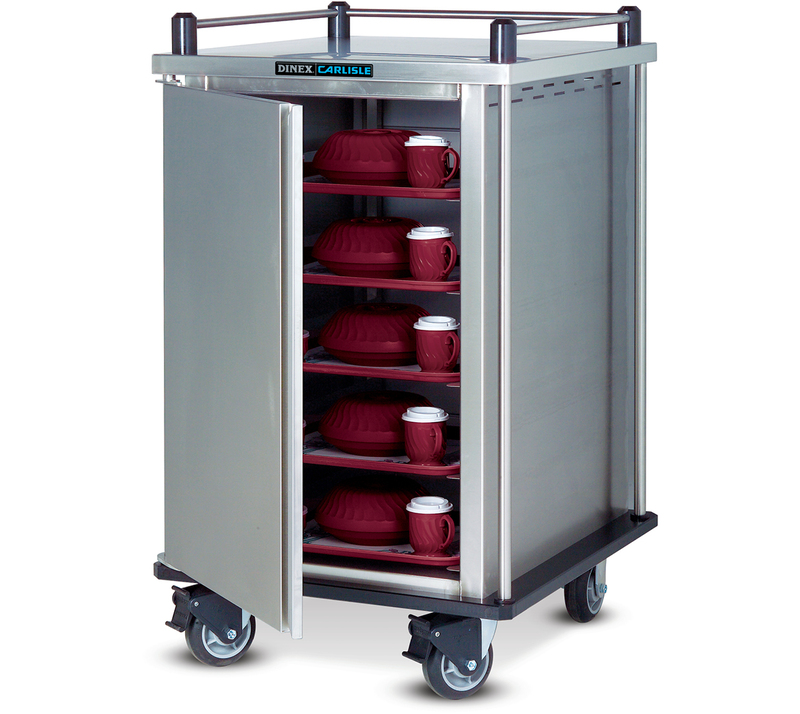 Dinex® TQ Supreme Delivery Carts: If you’re looking for a meal delivery cart that will enhance hospitality and bring a hotel-style atmosphere, TQ Supreme is for you. With its superb room service styling, TQ Supreme will broadcast your brand and navigate quietly through patient halls. 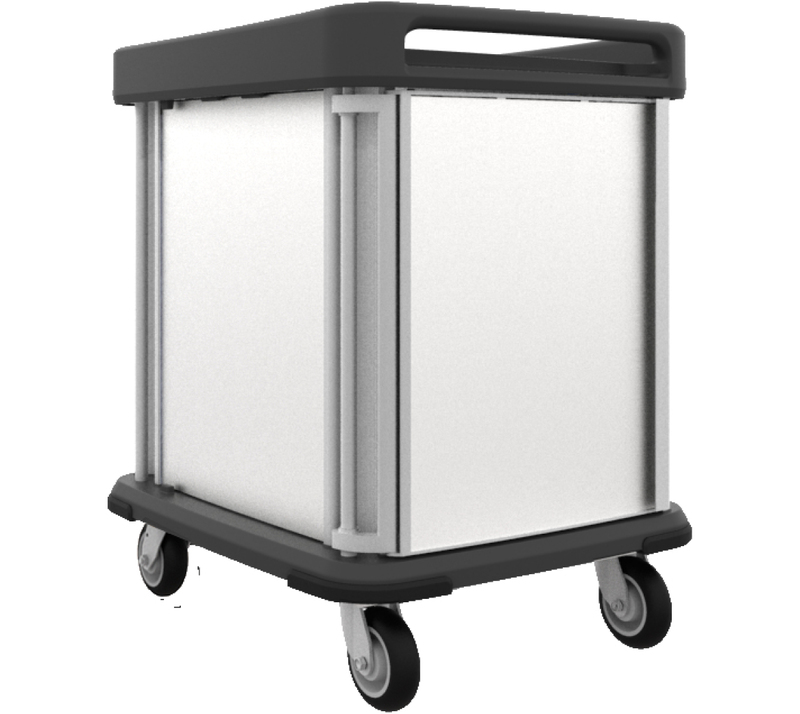 Dinex® TQ Economy Tray Delivery Carts: TQ Economy tray delivery carts are lightweight, versatile and compact. 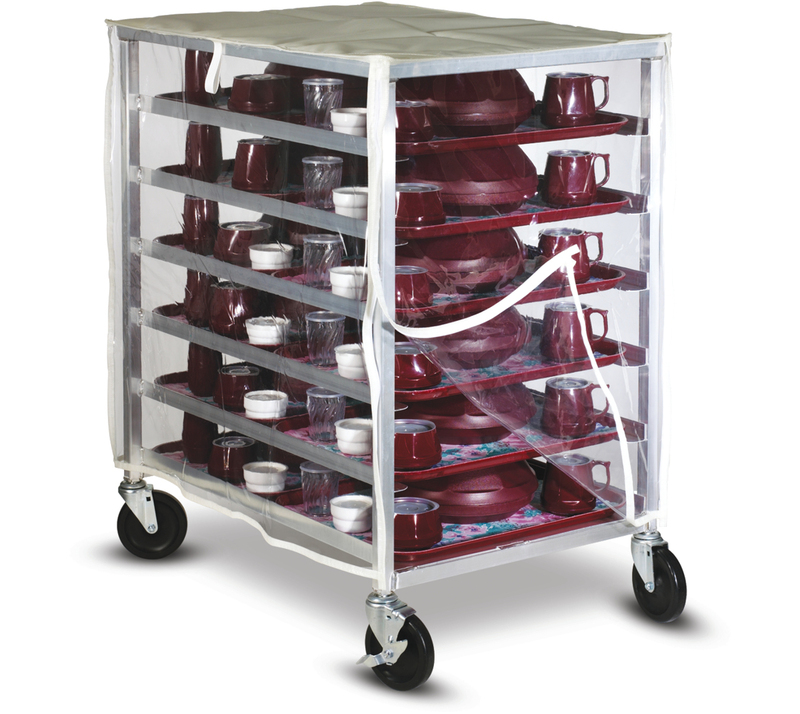 This meal delivery cart is perfect for budget-minded foodservice operators struggling with limited storage space in their kitchens. Once your quotation is approved, your work should not stop. It's essential that you track the results of your efforts and translate these results into financial language that will delight leadership. For instance, did your patient satisfaction score increase after your new equipment was purchased? How much time were you able to save during your daily operations as a result of having reliable equipment? How much money were you able to save on costly repairs? Being able to demonstrate a track record of success will help you build credibility with those who are responsible for making financial decisions and will help you get future quotations approved. Leasing is an excellent alternative to help your facility pay for new foodservice equipment. With the Dinex leasing program, your facility can finance your equipment over 36, 48, or 60 months. At the end of your contract, you have the option to purchase the equipment for $1. The lease to own program is perfect for the facility that would like to steer clear of traditional financing options. The thought of not getting your quotation approved can be a significant cause for anxiety. You know how important it is to have working and reliable equipment; however, all leadership at your facility sees are dollar signs. That's why it's essential to utilize the tips we provided in this article to increase your chances of getting your quotation approved. With a little research and effort, it's entirely possible that you and your patients will soon be able to enjoy all the benefits associated with brand new foodservice equipment. 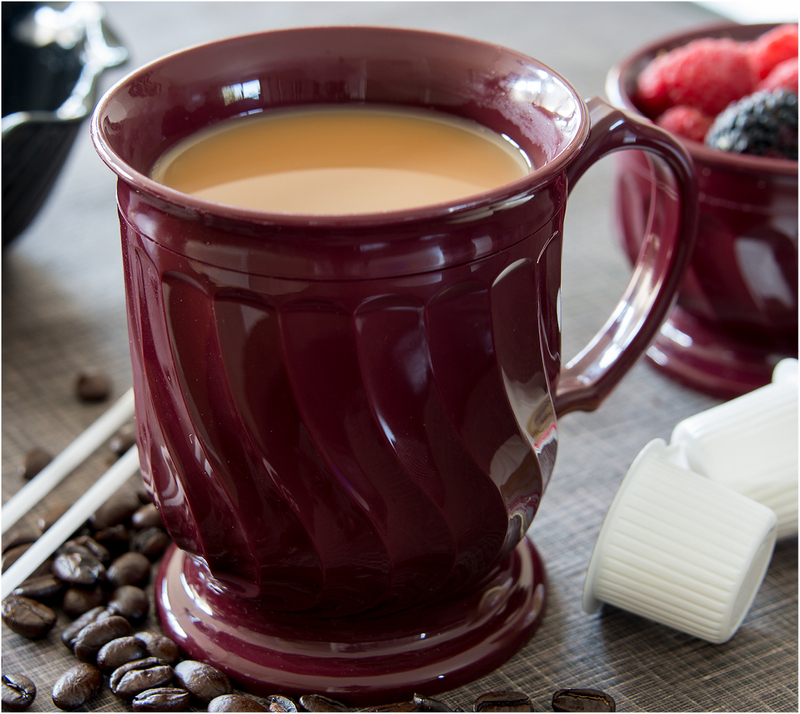 At Carlisle, it’s our job to make your kitchen run better. Our unique, four-team approach to healthcare food service support allows us to do that. We have dedicated teams for sales, custom designs, temperature controls, and culinary expertise. We would love to work with you to improve your processes and supply you with the best tools available in the industry. Get in touch with us today - we look forward to starting the conversation.